Best of all was a happy reconnection with my favourite bird, the Hawfinch. A flock of eight were being faithful to the treetops that run along the road between Headley Heath and High Ashurst. I last saw them moving towards Box Hill; a noisy Raven was hanging around the fields close to Nohome Farm on Walton Downs; and last but by no means least, two Barn Owls were hunting together over the fields of Canons Farm. One even landed on a fence post just 25m away from me. My fumbled attempt to take a photograph would have made the final cut of any Laurel and Hardy film. 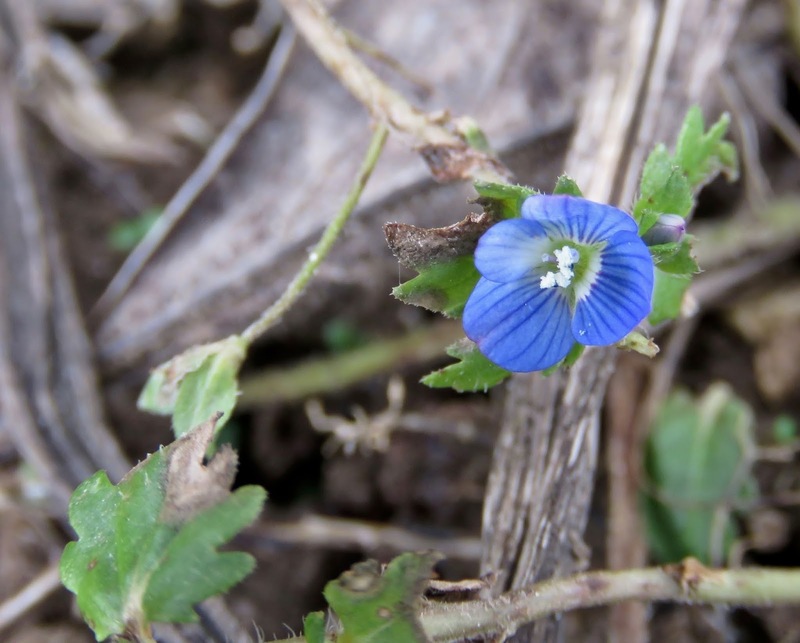 Botanical infusion came courtesy of a fair amount of Grey Field Speedwell (above) out in flower across Car Park Field (Walton Downs).